Are you fluent in emoji? Sending emojis back and forth in text messages is a cool new(ish) way to communicate. If you're agreeing to lunch plans with a friend, send a thumb's up. If you're in love with a friend's dress in a picture on social media, leave a heart-eyes emoji in the comment section. It's a perfectly acceptable way to interact with friends, family and even co-workers and now it's a perfectly acceptable way to play ping and popular party games. Send a serve over to your opponent with the side-eye emoji so it's apparent you're throwing shade their way or let them know you're on board for a fun time by giving the smiley face pong ball a whack. It's a must-have item for party animals who are skilled in emoji sweet talk! 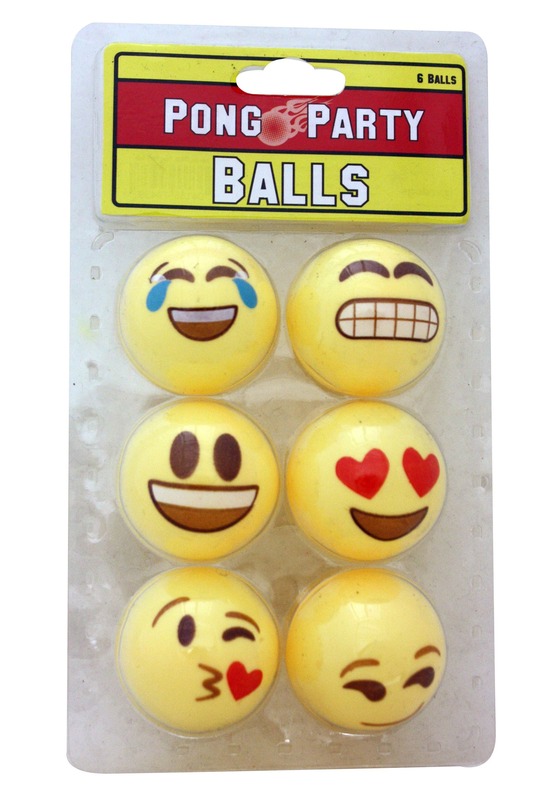 This product contains 6 ping pongs balls painted to look like a handful of the most popular emojis like the kissy-face and extreme-smiley face emoji. Each plastic ball is approximately 1.5 inches in diameter and it makes a great gift for anyone who has a ping pong table. If you consider yourself to be an emoji expert, check out some of our other emoji products. 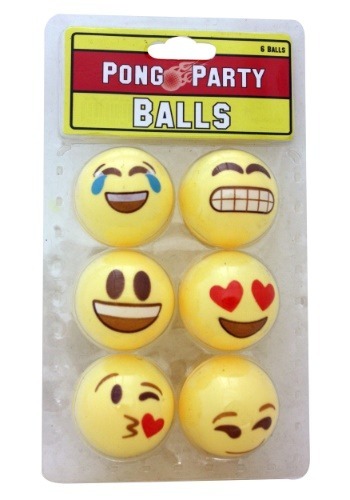 Play a game of pong with these emoji balls while wearing poop emoji sunglasses to spice up the game!